This enhanced-color image taken by the microscopic imager on the Mars Exploration Rover Spirit on sol 79 shows the rock dubbed "Mazatzal" after a portion of its surface was brushed clean by the rover's rock abrasion tool. The reddish material on the right side of the image is the original dust coating. The darker, grayer surface on the left side was exposed after brushing. The crack in the rock may have once contained fluids from which minerals precipitated along its walls. 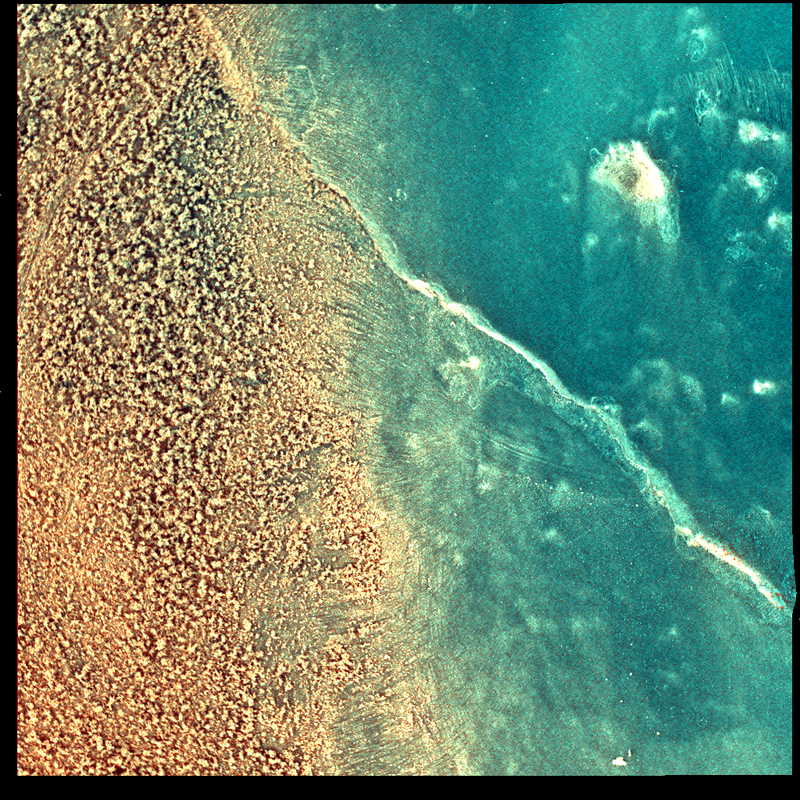 The color in this image was created by combining pictures taken with the microscopic imager's orange-tinted dust cover in both its open and closed positions.